Queen Sheba Village became an online fashion boutique of African textiles and clothing, as well as Arabian essences for the body and senses, and crafted accessories from our African Motherland—home of our ancestors after meeting and a invitation by The late great Scholar Shaykh Imam Assane Cisse (RTA) of Kaolack, Senegal, West Africa in 2003. Visiting Africa was a dream come true. Returning back to ancestral roots from her great grandmother’s lineage Queen Sheba felt a connection to spirit and wanted to give back to community by educating and empowering impoverished women. QSV was founded in 2005 by Washington, D.C.-based visionary entrepreneur, Queen Sheba Cisse. QSV boutique became fundraising idea to generate income to create projects and events for educational development projects after Shaykh Imam Assane Cisse (RTA) gave his blessing to Queen Sheba to follow in the example of the path in the humanitarian service. A lifelong interest in fashion and legacy led to the establishment of Queen Sheba’s company. Through QSV a wide assortment of exquisite African garments and products – many collected on visits and buying trips throughout the African Motherland – are now available for local and international clientele. The QSV signature collection is Malian Bazin and Bazin Riche cloth, created by the legendary Bamako textile dyers. We also carry Dutch Wax print fabrics, some of which feature lace and embroidery. Our clothing line – in cotton, chiffon, silk, and voile – includes Ethiopian Netela head scarves, flowing Gambian Dockette garments, Mauritanian Malfa cloaks, and Senegalese Bou-Bou gowns, as well as Chinese and Japanese silk scarves. Some of our clothing is made by hand by families of tailors in Dakar and in the Senegalese village of Kaolack. We also offer a limited selection of children’s garments and traditional garb for men, including Talibe kaftans worn regularly to the Mosque for Friday Jumu prayers. Occasionally, we carry such accessories as Moroccan slippers, Senegalese pocket books, and 21 karat gold jewelry from United Arab Emirates. Body products offered by QSV include Arabian bukhoor incense, Senegalese and Togolese Republic shea butters, and African and United Arab Emirates essential oils. 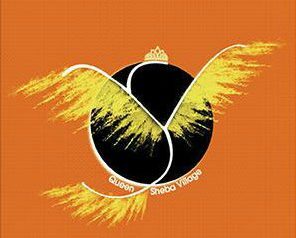 Additionally Queen Sheba Village fashion boutique is to raise funds for a micro-credit loan program to assist Senegalese women in the development of sustainable, village-based businesses that support their families. QSV micro-credit loan projects are intended to eradicate poverty and hunger, ensure environmental sustainability, reduce child mortality, improve the health of women, promote educational opportunities for women, and empower women to gender equality. Over the past several years QSV has distributed collections of clothing , supplies (personal and medical) and funding to villagers throughout Senegal. As part of our mission of empowerment for the women of Senegal we use the continuing development of our own QSV business as a role model and as a source of encouragement for women who wish to create businesses of their own. We invite you to drop in to our virtual Village and we welcome suggestion for new products. Our goal is to develop an informed and loyal clientele interested in African fashion. In the near future we shall continue the QSV couture boutique on http://www.etsy.com. From the QSV family – thank you for visiting – we appreciate your support.